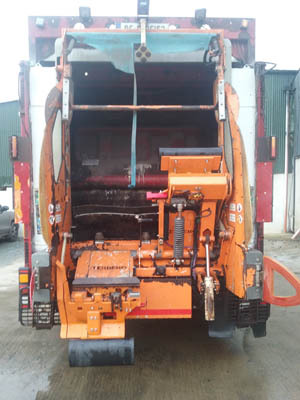 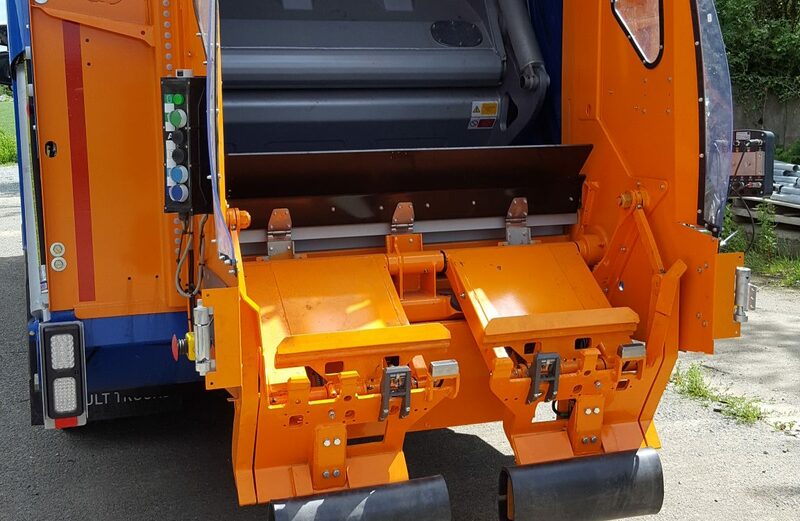 Our Bin Weighing is a cost-efficient dynamic weighing system that achieves a stable accuracy of within +/-1% for household and commercial bins. 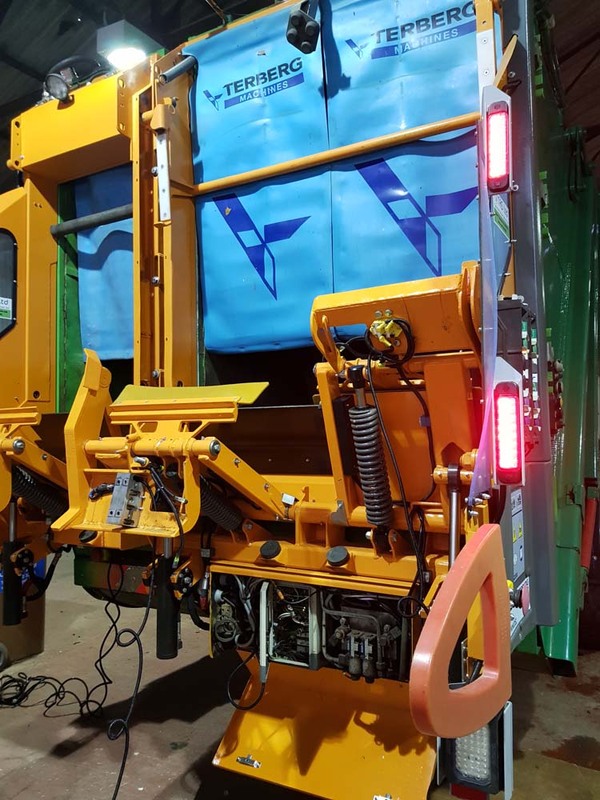 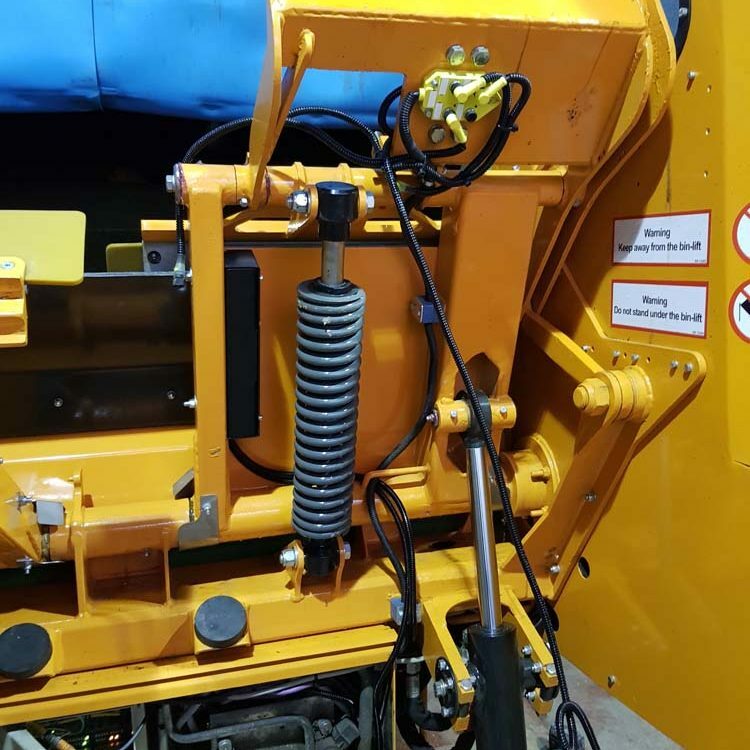 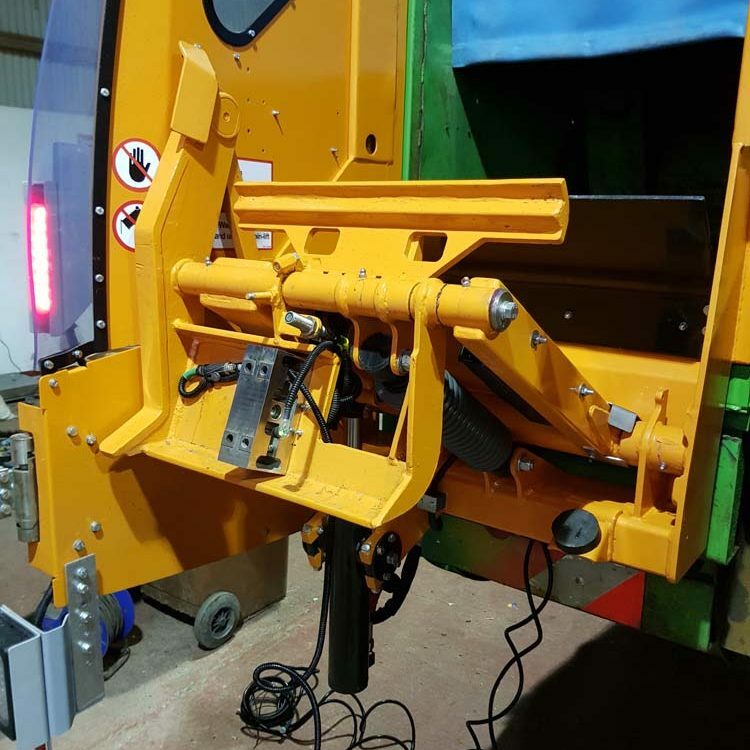 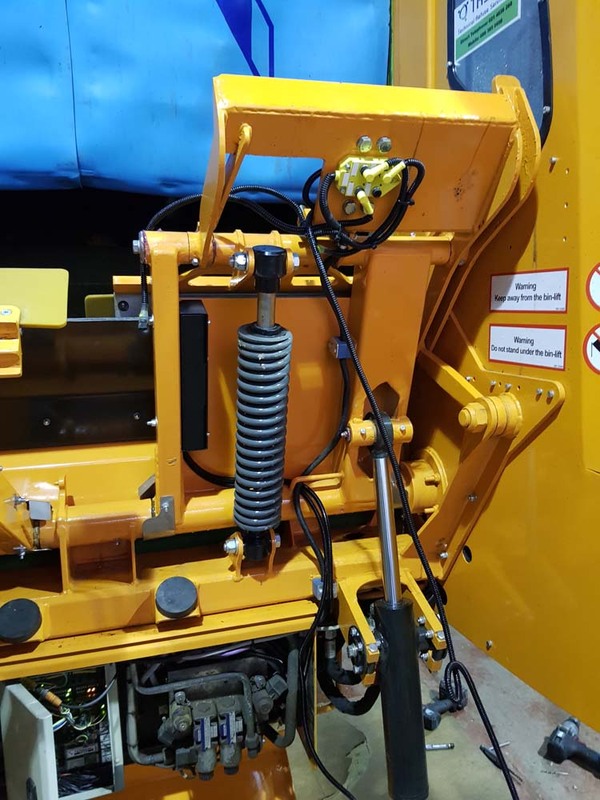 The weighing system is very straightforward to install and fully integrates with the DriverX3 system to provide individual bin weights whilst displaying a running total of collected weights, helping crews to prevent overloads. 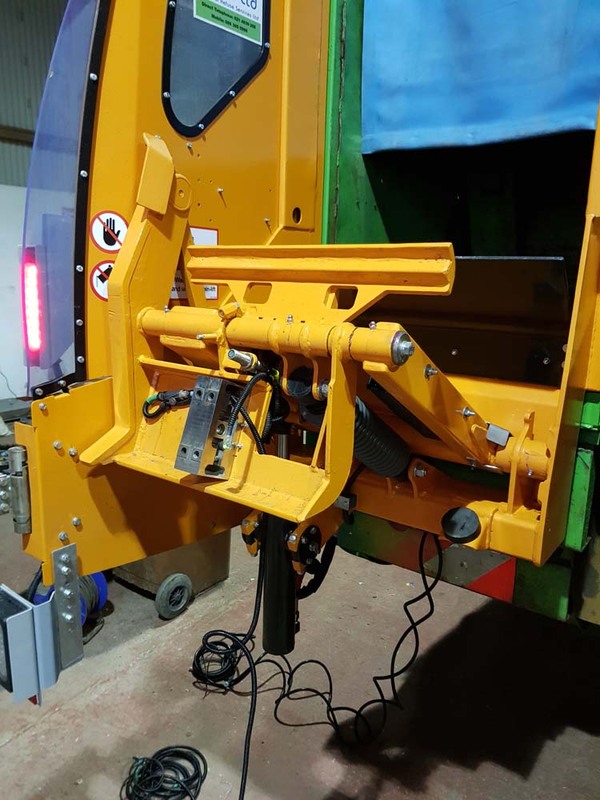 The weighing system is fully adaptable to install on all lifter designs and can be easily fitted to a Front, Rear or Side Loading system. 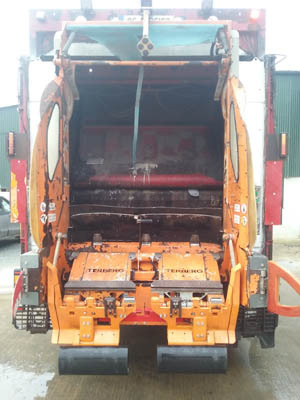 The contents weight of the bin is calculated by deducting the tare weight from the gross weight and providing a net result weight. 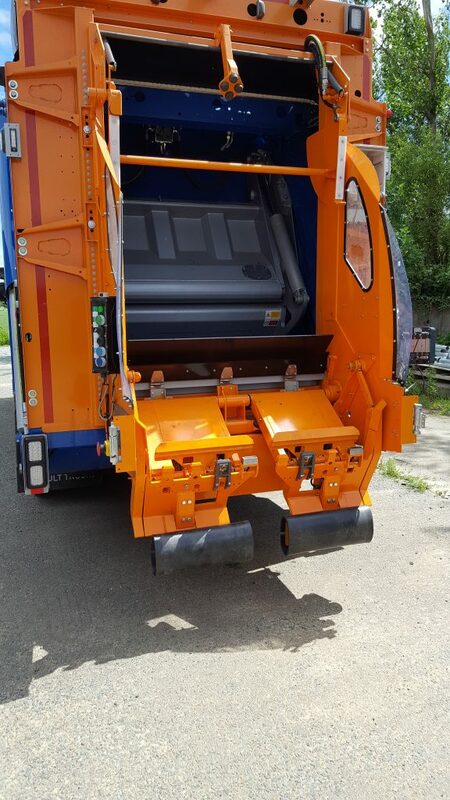 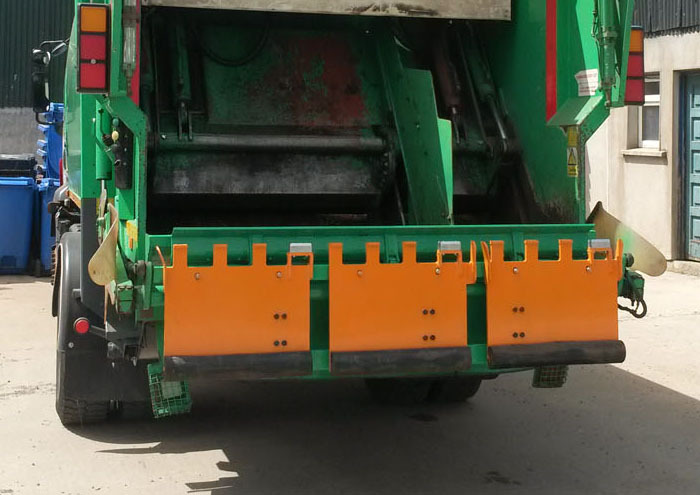 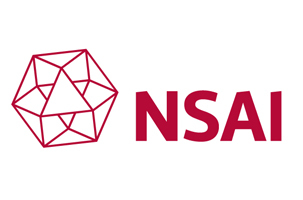 Our bin weighing hardware has been approved and certified as a Class Y(b) system (OIML R51 standard) by the NMI (certificate number TC8243 - up to 350kgs total lift). 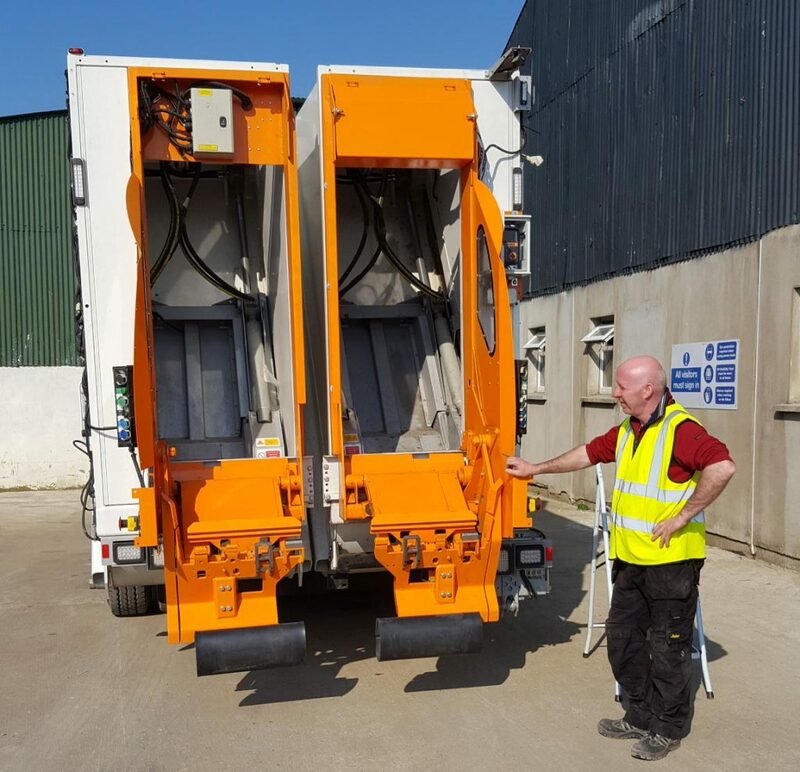 We install and certify bin weighing system in our yard in Killurin, Wexford, Ireland. 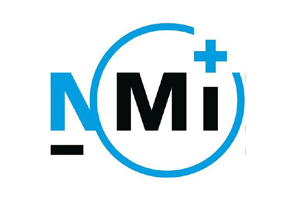 If required we can visit your location to install and certify system. 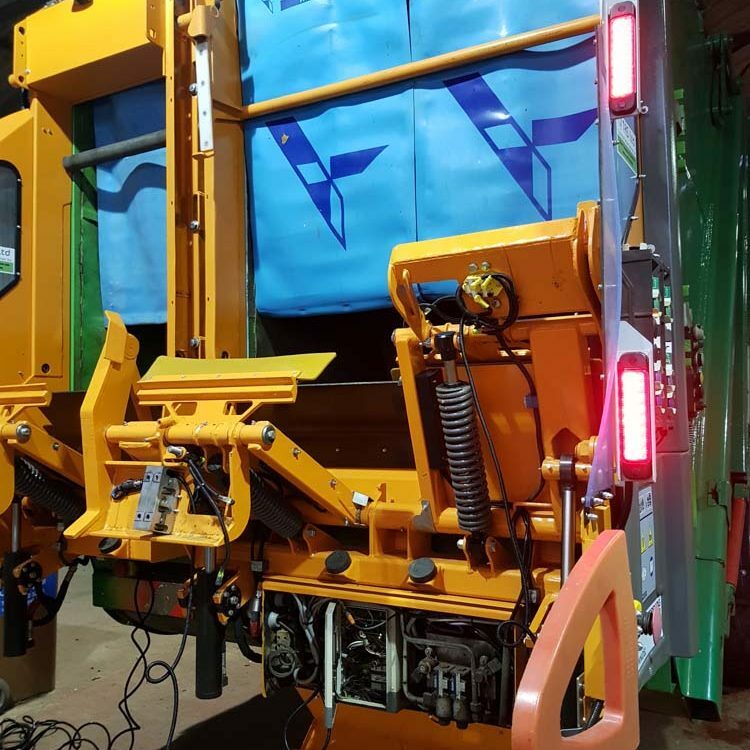 To fabricate, install and certify takes approx. 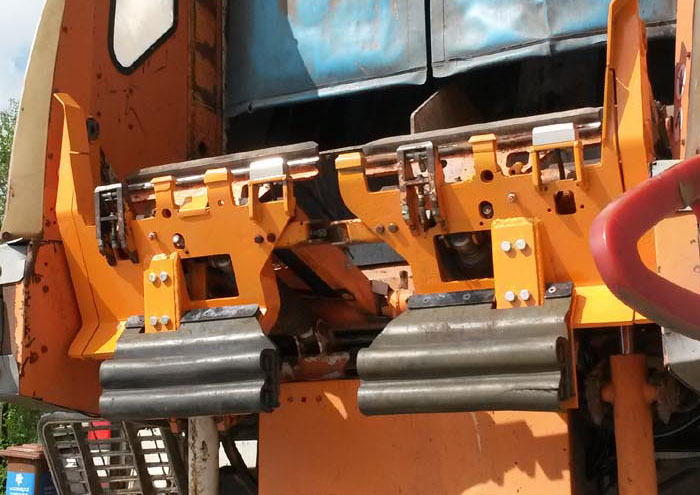 4 - 5 days depending on fabrication. 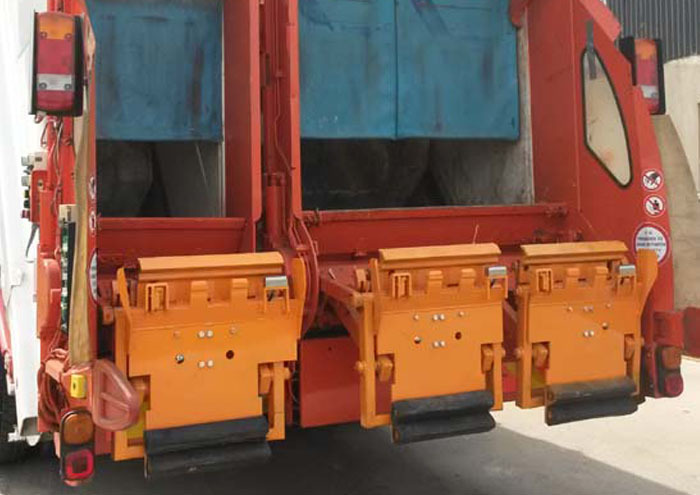 Legal for Trade Weighing System with an accuracy of within 1kg. 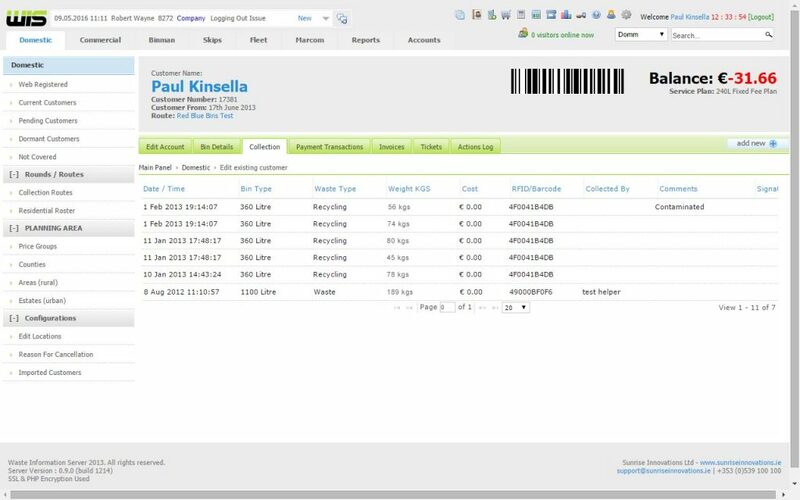 All fitouts transmit GPS together with RFID and Weight data. 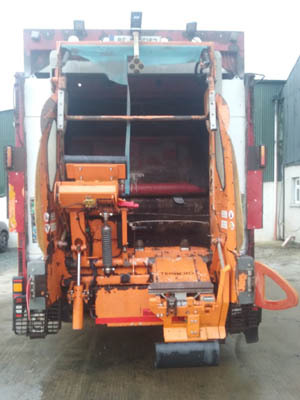 Detailed vehicle weighing reporting and performance indicators.